You missed some of the cities listed. RI had central falls on the list. So no way to know if I need a Band 71 compatible phone for some of these upgrades in New England…Why T-Mo?! Might as well wait for the late 2018 phones to garner the most compatibility. You probably won’t need band 71 support till starting around fall of next year. The TV stations in that area aren’t required to repack till August 2019. It may be sooner though if T-Mobile’s able to get them to vacate earlier. One day I’ll see my area on the list. Seems like a lot of burbs, with a few major markets sprinkled in. Most major markets won’t see 600MHz for a while. Tv stations don’t want to move channels yet. As far as propagation and penetration, yes slightly. But 600MHz will be much better cause T-Mobile has more licenses of it than 700MHz. They can run a more powerful network on 600MHz. Just cause an area has it, doesn’t mean all towers in that area have 700MHz. Maybe they are densifying. This is both band 12 and band 71. The characteristics of band 12 and band 71 are almost identical. Those are the only phones to support band 71 but this announcement is about band 12 coverage as well which pretty much every phone made in the last 2 years supports. Why does it matter if you still to this day barely have any phones that support it? Waiting and waiting and waiting…. It also includes 700, it says in the post. Many phones support that band. I know, I can read. I was referring to 600 which has been deployed in my area. Why advertise it when they still have no budget or mid-entry phones that support it? Maybe because…I don’t know…they have 4 phones that do support it…? It also puts pressure on manufacturers to support it. They have a ton of mid tier smartphones coming with 600 in the next month. It is merely a marketing exercise. T-Mobile’s network is still vastly behind Verizon’s coverage-wise so they have to spin it in their favor. I’m sorry but you’re mistaken. This is band 12 and band 71. EVERY phone T-Mobile sells has band 12 support and they carry every phone available that supports band 71. And your point is? I was talking about band 71. Not band 12. I know that almost every phone of theirs supports band 12. Which is why I switched back to Verizon when they started offering unlimited again. The Florida Gulf coast, particularly SW Florida is very neglected by T-Mobile. Hell Sprint offers more consistent service ’round those parts. Thanks for the info. I wanted to get my brother on my T Mo plan to help him out. I’m in a northern state. He’s on Verizon and paying an idiotic amount per month, which he cannot really afford, but does. If T Mo is bad in SWFL it will never work for him. He does home remodeling. Needs strong service to keep in contact with customers. Also notice no states that begin with the letter “K” included. So was most of the rest of the country, your point? Do I need a greater point? If everyone keeps speaking to the areas they know need improvement, hopefully something will happen. Right? That’s all we can do on here. Thanks for the link. No 600 Mhz for MA just yet. Even in past posts that mentioned mid-band upgrades, nothing for Boston. S8+, S9(&+), Note 8, V30(&+). S8+ & Note 8 doesn’t have 600mhz but S8 Active does. Hope to see a bigger selection as the year goes on. Thanks. This is one time period when buying an LG/Samsung flagship is mandatory… Nothing else will do, no matter how cheap. It just started rolling out on Verizon less than a week ago, hopefully it won’t be too much longer. 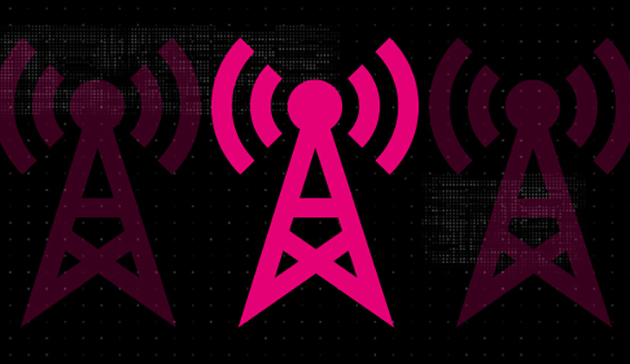 T-Mobile would earn big points with its customers if it would be the first network to promise timely updates.